Born and raised in Pittsburgh, Pa., George Benson is one of the most revered jazz and rhythm and blues guitarists of the last six decades. Releasing his first record at the "Get the hell out of here!" 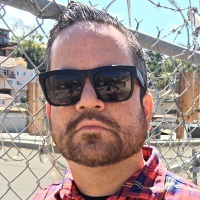 age of 10, Benson has gone on to win 10 Grammy Awards and release such crossover radio staples as "On Broadway," "Give Me the Night," and "Turn Your Love Around." 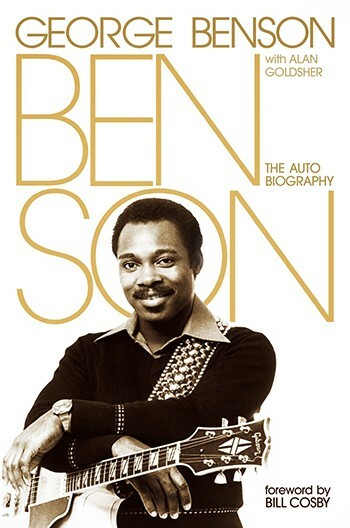 In stores now, Benson: The Autobiography is a testament to the guitarist/vocalist's blue collar work ethic. Co-written by Alan Goldsher, the book follows Benson's early days, slugging it out on the Pittsburgh club circuit as a teenager in the '50s, to his commercial breakthrough in the '70s. A perfect gift for the jazzbo in your life, Benson includes the story behind the session work he did on Miles Davis' 1968 album, Miles in the Sky. The book also digs deep into Benson's time on producer/A&R manager Creed Taylor's influential record label, CTI Records. It's during his CTI period that the guitarist first found commercial success as a solo artist. But it would be his run on Warner Bros. Records starting in the mid-'70s where Benson also started landing big hits on the rhythm and blues and pop charts. Starting with his 1976 Breezin' album, Benson became a household name in the US. But where many other musicians took the drugs and groupie route after scoring fame and fortune, Benson found his religious calling instead, becoming one of Jehovah's Witnesses by the end of the decade. Not that all of Benson is a walk through the park. The book also covers the musician's near-arrest for domestic abuse, and some of his family's health struggles. But, refreshingly, Benson keeps closer to the guitarist's musical adventures than it does with the kind of tabloid-baiting fodder music-related autobiographies have become known for. Coming into the book, I was well-versed on Benson's discography, post Breezin', but I walked away with a great appreciation for his '60s output after reading the chapters covering his session work and early solo records. Now, if we could just get one of Benson's greatest collaborators, vocalist Al Jarreau, to write a book, all would be fine in the (jazz) world.